NFL training camps throughout the league are winding down as the next preseason game approaches. These camp practices have provided the much-needed time for multiple NFL players to compete for starting roles. Unfortunately though, the first preseason game of the year told a cruel truth about several players who have struggled in camp. Then, there were the players who did not attend training camps at all because of their contract situations. Will we see these guys come September? We will touch on that and more as we cover some of the most intriguing developments that have unfolded in training camp. There is little doubt that the Arizona Cardinals will open their regular season with veteran quarterback Sam Bradford as their starter, barring any injury. This plan is even further solidified after observing Bradford in training camp. According to NFL Network’s Ian Rapoport, Bradford has been “accurate and very good” working with his new offense. If the latter remains true and Bradford suits up all year, it will be his first complete season since 2012. Finally. For the first time in a long while, the Lions have a very intriguing lineup of running backs to move the ball this year. The Lions added veteran LeGarrette Blount, who is a stud at the goal line and can take a beating. But even more exciting is rookie Kerryon Johnson, chosen 43rd overall. He stunned in his preseason debut, racking up 34 rushing yards and 33 receiving yards on four catches. Johnson looks to be that dual-threat back the Lions have been longing for for quite some time. The Rams did not feature their starters in Preseason Week 1, but this duo is getting red-hot, rave reviews. Observations of Kupp in training camp indicate he has been “more or less unstoppable” and his chemistry is on point with Goff. The second-year receiver was reportedly a “matchup problem” against the Baltimore Ravens in joint practices. All signs would point towards Kupp potentially garnering more than the 94 targets he received in his rookie year. That might see the youngster even out-produce Brandin Cooks this fall. Dallas Cowboys quarterback Dak Prescott has been working hard in training camp to make fans forget about his sophomore slump. To help him out in his passing game, and fill a depleted receiving roster, the Cowboys brought in Allen Hurns, Deonte Thompson and Tavon Austin. They also drafted Michael Gallup, who caught a touchdown from Prescott in the preseason opener. After having some time to work with this group as well as the team’s veterans, Prescott revealed that his “go-to receiver” is Cole Beasley. Go figure. This news is a bit concerning, considering Beasley posted a mere 314 yards and four touchdowns last year. The Atlanta Falcons have a new star in the making. 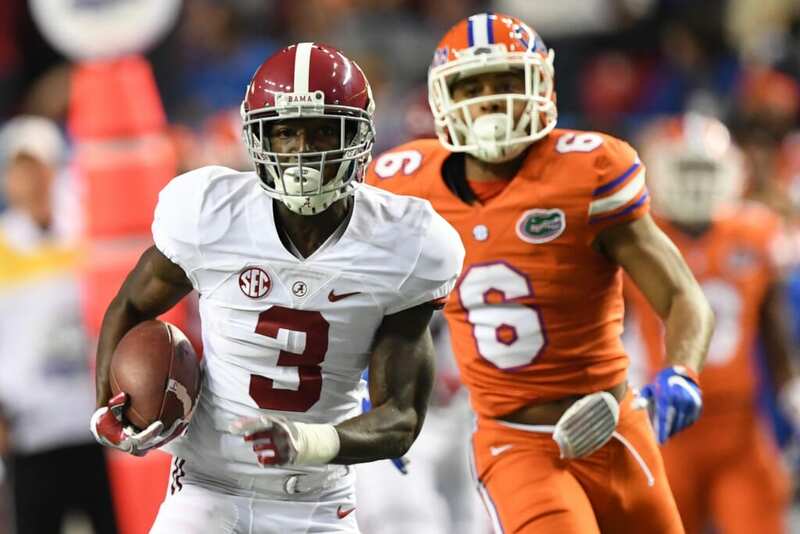 Rookie wide receiver Calvin Ridley is reportedly performing quite well in camp. He even burned Pro-Bowl cornerback Desmond Trufant in coverage coming up with quite the tricky catch. Ridley looks ridiculously fast and the talk around town is that he and fellow wideout Julio Jones might just become the league’s next best receiving tandem. Both guys should give fits to opposing defenses this year. Ridley was selected 26th overall out of Alabama, and so far he looks to be worth every ounce of a first-round pick. Some quarterbacks rely heavily on their tight ends, which has been the case with Philip Rivers since 2006. Though, after losing Hunter Henry for the season and deciding (so far) not to re-sign Antonio Gates, the Chargers must resort to a different plan. The Chargers need their wide receivers not named Keenan Allen to step up. Tyrell Williams is reportedly working with the first team and is ahead of second-year Mike Williams. However, the latter is supposed to see an increase in red zone work this year. Minus Henry, we can probably expect the team to rely heavily on three-receiver sets. Hopefully, the Chargers offense continues to thrive. Allen received significant play time in his preseason debut, and boy did he stink up the place at times. The young quarterback completed only 9-of-19 passing attempts for 116 yards. He did manage a late-game score on an impressive throw, but Allen also broke Twitter with this bumbling play on fourth down. Since that disastrous game, Allen has “exclusively” been working with the Bills second-team offense. He apparently will have a chance to earn the starting job if he shows improvement moving forward. While Allen is working with the second team, A.J. McCarron has worked with the first team while Nathan Peterman practiced with the third-stringers. The latter is a bit interesting considering Peterman was by far the most impressive in the Bills first preseason game. It will definitely be worth keeping an eye on Allen as he tries to better his standing on the depth chart. Flacco is reportedly having a stunning training camp, and to not risk injury, the Ravens have leaned on Jackson and Griffin in the preseason. So far, Jackson has been both entertaining and extremely raw. Throughout two games, the mobile youngster has completed only 39.3 percent of his 28 passing attempts for 152 yards, one touchdown and one interception. He has also posted 46 rushing yards and one rushing score. Now on to Griffin. He has averaged 8.1 yards per pass compared to Jackson’s 5.4 while throwing for two touchdowns and one interception. The former first-round pick actually looks quite polished on the field after not playing at all in 2017. It will be interesting to see if Griffin makes the Ravens’ final roster and, if so, how the depth behind Flacco is decided. Thomas means serious business and, to the dismay of head coach Pete Carroll, the safety’s holdout continues. His demands are simple. He wants a new contract or a trade. The Seahawks are not going to give Thomas an extension at this point. So, perhaps a trade for the 29-year-old All-Pro is the solution. After all, the Seahawks have already been going bonkers when it comes to restructuring their defense. A possible trade spot for Thomas, who is selling his Seattle home, would be the Dallas Cowboys. Stay tuned. Now, this is a headline no sports writer has typed in years. But, Cleveland finally looks to have hit a home run at the quarterback spot. Perhaps the success is stemming from those secret training camp meetings the Cleveland quarterbacks have been holding in their RV. 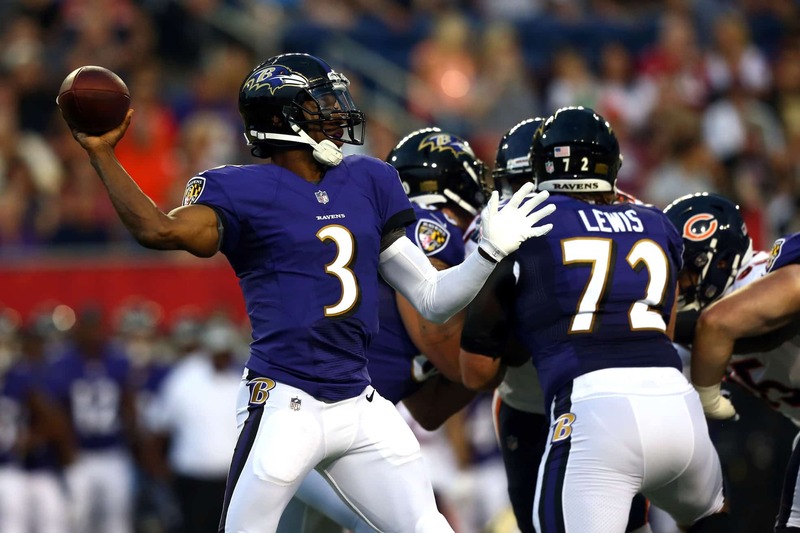 In his preseason debut, Tyrod Taylor kicked things off by completing 5-of-5 attempts for 99 yards, one touchdown and a quarterback rating of 158.3. Boom. Next, it was all about rookie Baker Mayfield who received substantial time to dazzle under the spotlight. He nailed 11 of his 20 passing attempts for 212 yards and threw two bullseye touchdowns. Mayfield was a definite crowd-pleaser who looked like a natural already as a pro. Speaking of naturals, second-year tight end David Njoku has been a star, as showcased by the two touchdowns he caught from both Taylor and Mayfield. Those waiting for a sampling of Barkley in a professional setting got exactly what they asked for. 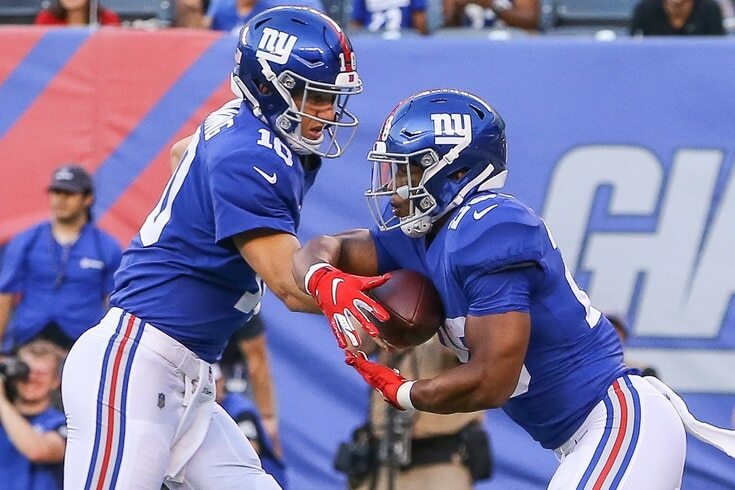 Barkley turned his very first touch of the rock into a 39-yard rushing gain. It was an electrifying rushing play that instantly went viral on social media. In particular, it sparked some serious fantasy football reactions. Folks immediately began tweeting that Barkley should be targeted No. 1 in drafts. Maybe that is putting the cart ahead of the horse, but Barkley is a legitimate threat on the field. Now let’s just hope he can stay healthy. The future Hall of Fame quarterback recently went public and blasted his crew of young receivers. Rodgers was not shy to call out players who aren’t carrying their weight and compare them to other guys who are. As one of the elites in the business, Rodgers has the right to command a better effort. With that said, Rodgers also gave praise where it was due. He had nothing but glowing things to say about new UDFA wideout, Jake Kumerow. Kumerow will have to fight for a roster spot, but his three-catch, 76-yard, one-touchdown preaseason debut got our attention big time. Any takers for Teddy Bridgewater? Bridgewater was nothing short of amazing when he took to the field, living up to the glowing reviews he has received in camp. He completed 7-of-8 passing attempts for 85 yards and one touchdown in the first preseason game of the summer. The 25-year-old quarterback looked poised and confident just like his old self earlier in his career. At this point, Bridgewater’s time on the field should be considered an audition for other teams. The Jets are open to trading him, having the capable Josh McCown and promising rookie Sam Darnold on the roster. Perhaps teams with shaky backup quarterback situations should be paying attention. 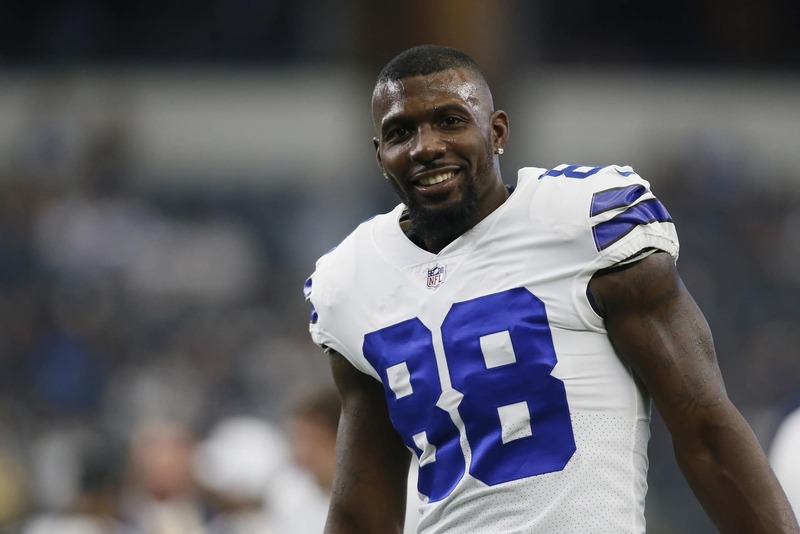 Is Dez Bryant headed to Cleveland? Bryant’s summer has been filled with all kinds of confusing stuff. After being released by the Dallas Cowboys, Bryant hoped to sign with a contender. He turned down an offer to play with the Ravens and has most recently been tied to Cleveland. The 29-year-old receiver will reportedly visit with the Browns after posting this tweet. The odd thing is, the tweet popped up after Bryant ignored calls from Cleveland’s general manager. And, the whole situation is just odd considering Bryant’s earlier lack of interest with the Browns. Also, as good as the Browns were in their first preseason game, we cannot list them in the contender column just yet. Bell has been busy doing Bell things all summer long as he continues to stay away from his team. He turned down the Steelers’ last contract offer which would have reportedly paid him $70 million over five years. Meanwhile, Bell has been promoting his music which includes concerning lyrics hinting towards an domestic allegation involving Bills running back LeSean McCoy. Outside of this, Bell is at least attempting to keep in top physical shape for the upcoming season. In addition to his regular conditioning, he is reportedly working with a footwork coach. Eventually, it will be time for Bell to sign his $14.5 million franchise tag in order to suit up for Week 1. The good thing in Indy is that Luck looks like his old healthy self again. He threw for 64 yards, completing 6-of-9 attempts in his preseason debut. It was a fine enough performance to reassure Colts fans that Luck is really back. While this news is awesome, the Colts did receive some setbacks on offense. Sadly, rookie Deon Cain suffered a season-ending torn ACL, while running back Marlon Mack tweaked his hamstring. The second-year running back is questionable to play in Week 1 of the regular season. And, Cain had been having a very solid camp. Aside from those injuries, a clean bill of health for the Colts star quarterback means the team is back in business. During training camp, this train was moving full steam ahead. Then, it got a bit derailed in the 49ers first preseason game. Quarterback Jimmy Garoppolo produced mixed results, completing 3-of-6 passes for 34 yards. And before the first quarter was up, the injuries started piling up. Tight end George Kittle suffered a separated shoulder while linebacker Malcolm Smith injured his hamstring. Not long after, running back Matt Breida became sidelined with a neck injury, and defensive end Solomon Thomas suffered a concussion. Adding more insult to the injuries, running back Jerick McKinnon strained a muscle in his knee during practice. It is not shocking that the 49ers just signed Alfred Morris as insurance. Since we are already talking injuries, perhaps the most unfortunate one thus far was the loss of Guice for the entire 2018 season. The young running back was having an excellent training camp only to suffer a torn ACL, causing hearts to break for him across the country. 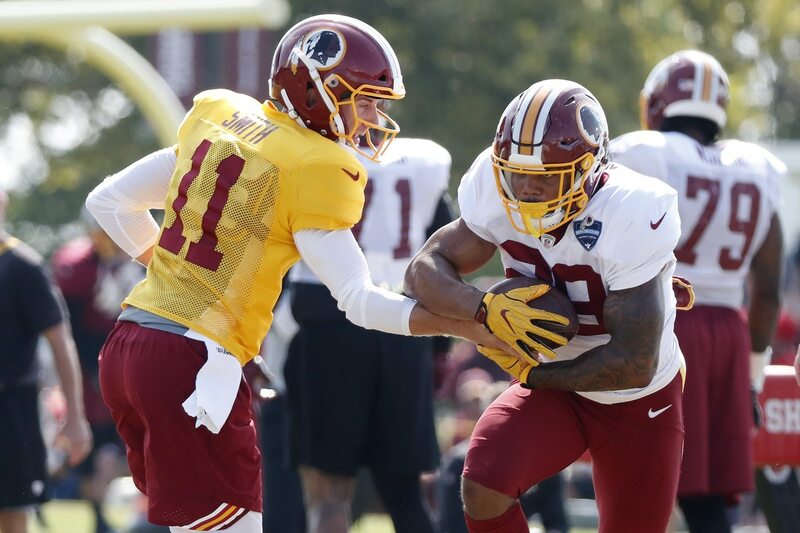 Without Guice, head coach Jay Gruden said the team plans to work with the running backs currently on the roster. That would leave Rob Kelley, Samaje Perine and Chris Thompson likely picking up the majority of the slack. Though, an intriguing back to perhaps eventually earn more work is Kapri Bibbs, who has been impressive in training camp. Let’s just say the Washington backfield (minus Guice) looks to one to avoid in fantasy football. Will Sam Darnold pull ahead? 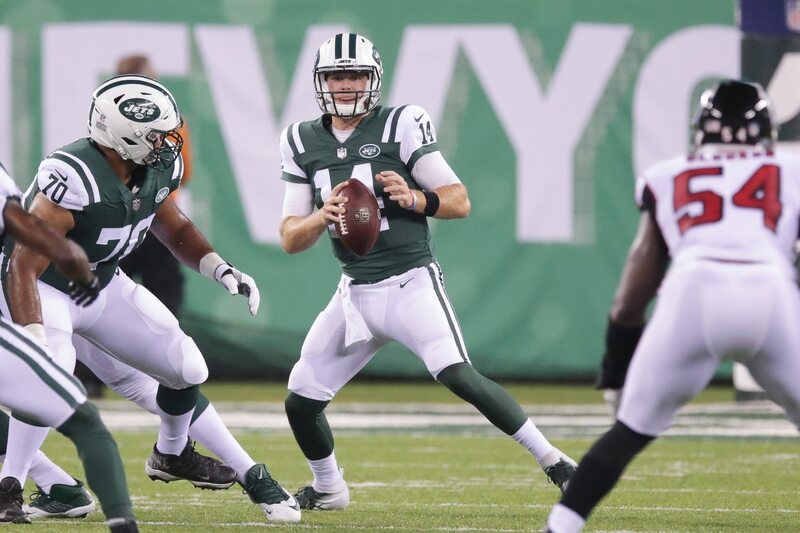 Arriving to training camp late due to some contract issues, Darnold looked darn good in his first preseason game. 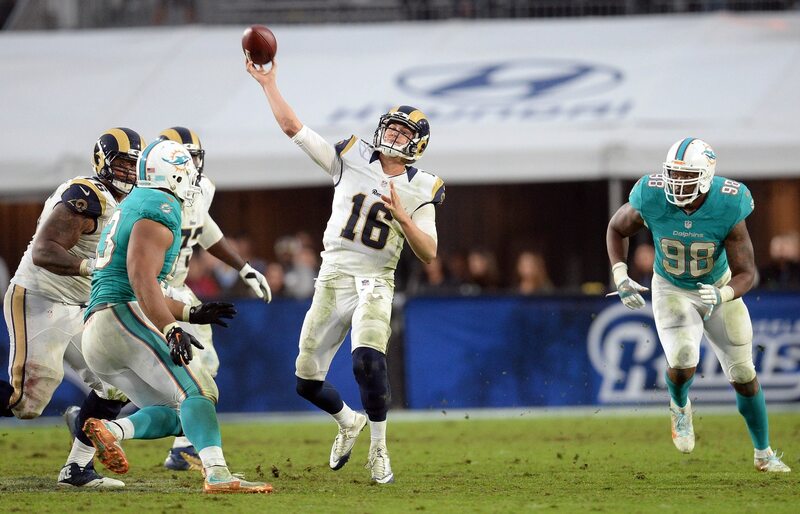 The rookie completed 13-of-18 passing attempts for 96 yards and a touchdown. After his solid debut, Darnold has been receiving the majority of the reps in practices. He stands to legitimately earn the start once Week 1 of the regular season rolls around. This is provided he keeps up the progress as the rest of the preseason plays out. The next Darnold sighting will be when the Jets head to Washington to take on the Redskins. After being talked up by cornerback Chris Harris in training camp, the Broncos first- and second-string offenses received terrible reviews in the preseason opener. Quarterback Case Keenum struggled mightily, completing only one of his four passing attempts for a mere five yards. It also did not help that Keenum was being picked apart by his former Vikings team, whose new quarterback Kirk Cousins performed flawlessly. After Keenum got the hook, Paxton Lynch took over and he was bad to the bone as well. It is no wonder the Broncos demoted Lynch and promoted Chad Kelly after the latter sizzled in his preseason stint. Aside from this, a promising young star looks to be rookie running back Royce Freeman. He has had a successful camp and could be Denver’s starter come Week 1. In the meantime, let’s hope Keenum and Co. put on a better show when they next host the Chicago Bears.